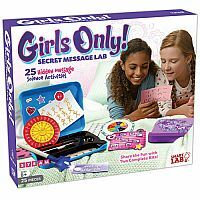 Girls Only! Secret Message Lab keeps secrets safe and teaches the science behind the mystery! 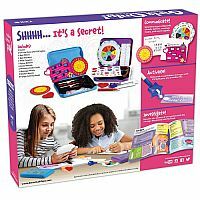 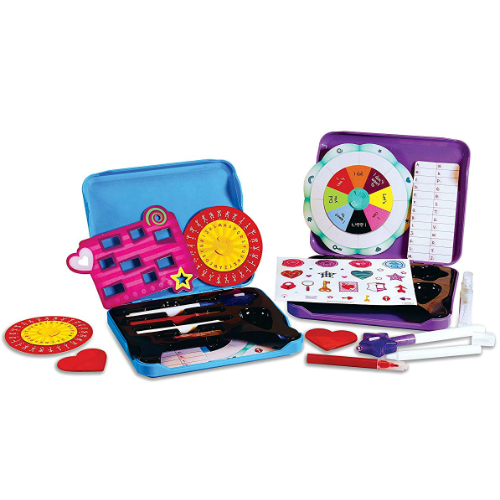 This crafty science lab comes with two cases (to share with a friend) and contains everything girls need to know to create codes and write secret messages. 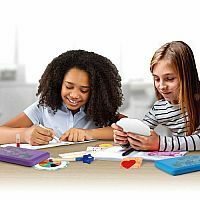 Girls will discover 25 ways to use science to share secrets, such as applying chemistry skills to make invisible ink and reveal mysterious messages, and learning basic coding skills to write and decipher custom secret codes. 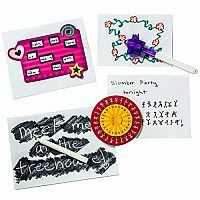 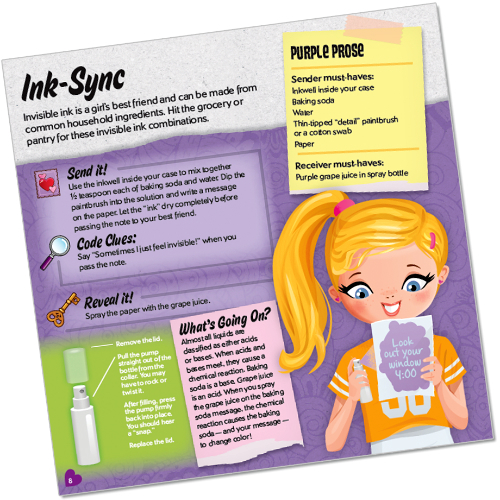 Girls can get crafty by learning fun ways to pass notes, and much more. 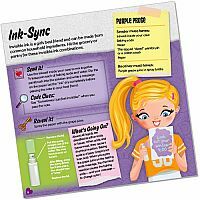 The 24-page book in the kit includes activity instructions, science information, as well as facts about how secret messages have been used throughout history.